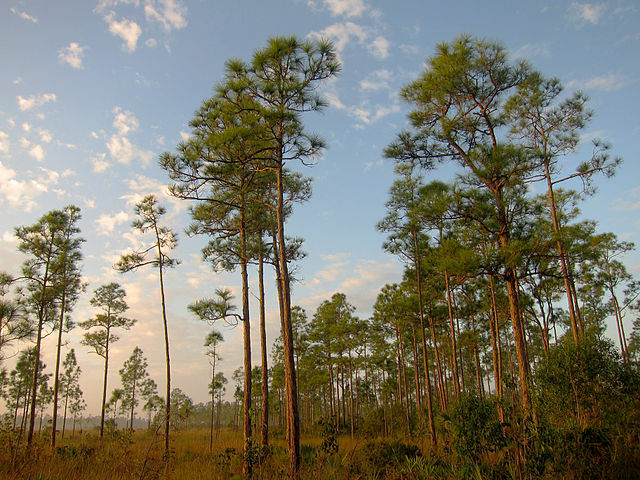 Everglades National Park is a subtle place where earth, water, and sky blend in a low green landscape; where mere inches of elevation produce distinct changes in vegetation; and where a great wealth of birds and other wildlife find refuge. For this is almost exclusively a biological park dedicated to the preservation of a complex and precisely ordered living mechanism. It lies at the interface between temperate and sub-tropical America, giving a rich diversity of species, many at the limit of their ranges. The topography is so subdued that a broad sheet of water slowly flows over and through the porous limestone bedrock on its way to the sea, rather than following well-defined valleys. Most of the park is actually covered with water during normal wet seasons, while dry winters cause fresh water to dwindle to a few open areas crowded with wildlife. The great floral variety of the Everglades is one of the key resources of the park. Among its more prominent and colorful plants are Bromeliads and epiphytic orchids. As many as 25 varieties of orchids are known to occur in the park, in addition to over 1000 other kinds of seed-bearing plants and 120 species of trees. 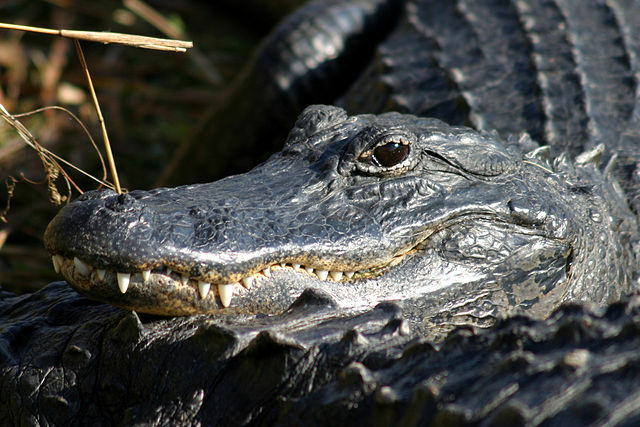 Over 36 threatened or endangered animal species reside in Everglades National Park, such as the American alligator (Alligator mississippiensis) and crocodile (Crocodylus acutus), the Florida panther (Felis concolor coryi), the West Indian manatee (Trichechus manatus), and the Cape Sable seaside sparrow (Ammodramus maritima mirabilis). Over 300 species of birds have been recorded, seven of which are rare or endangered. Protection of wading birds and their rookeries from commercial exploitation and encroachments was the prime reason for setting the park aside. Although habitat changes have reduced historic numbers, tens of thousands of birds feed and nest within the Everglades, providing visitors with opportunities of a lifetime for viewing them. With its special significance to the Nation and the world recognized by making the Everglades a National Park, an International Biosphere Reserve, a World Heritage Site, and a Ramsar Wetland of International Importance, its preservation for the benefit of present and future generations is better assured. No other place combines a subtropical climate, a broad, shallow river, and a stunning diversity of plants and animals into such a complex and fragile ecosystem. No other place is so dramatically defined by annual rhythms of drought and flood, fire and sunshine and torrential rain. Everglades National Park is the largest remaining subtropical wilderness in the United States. Its abundant wildlife includes rare and endangered species, such as the American crocodile, Florida panther, and West Indian manatee. It has been designated an International Biosphere Reserve, a World Heritage Site, and a Wetland of International Importance, in recognition of its significance to all the peoples of the world. Once, water flowed freely from Lake Okeechobee to Florida Bay, a “river of grass” 120 miles long and 50 miles wide, but less than a foot deep. In this flat landscape, even a few inches of elevation meant the difference between wet marsh and dry ground. Today, the Everglades is an ecosystem in danger. Canals and levees capture and divert its water for human needs, including drinking water, irrigation, and flood control. Often, too much water is withheld from the Everglades during the wet season, or too much is diverted into it during the winter drought, disrupting the natural cycles of feeding and nesting which depend on these patterns. Sometimes the water is contaminated by pollutants. Faced with loss of habitat, disruption of water flow, and the invasion of non-native species, many animals have declined dramatically in number. Some have virtually disappeared. Fortunately, in recent years we have grown more aware of these threats, and of the importance of resolving them. Major efforts are under way to restore the natural flow of water through the river of grass. Research projects help us to better understand the Everglades, and what it will take to protect it. One thing is certain: As the human population of south Florida continues to grow, the challenge of balancing human needs with those of the natural ecosystem will be great. It will take education, commitment, and the participation of everyone who lives in or visits south Florida. 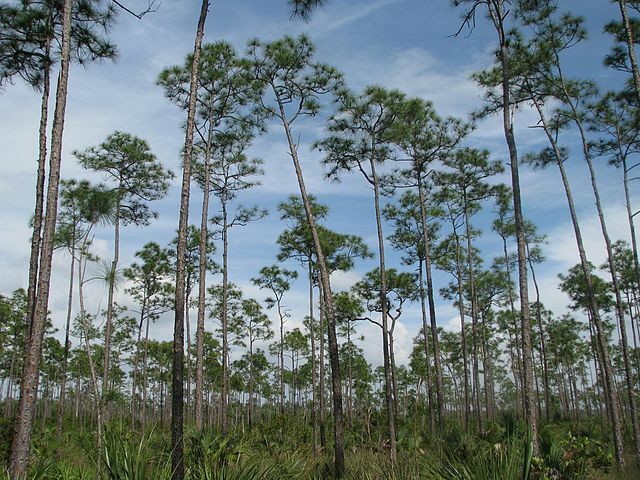 In 1947, our grandparents created a National Park in the Everglades, to protect its magnificent biological resources. What will our grandchildren find when they visit the Everglades fifty years from now? Nowhere is man’s impact on other species more evident than in south Florida. Threatened, endangered and extinct are words that have become all too common in our 20th century vocabulary. The natural process of species evolution, taking hundreds and thousands of years, has accelerated rapidly since the turn of the century. Today because of man’s desire for land and raw materials, his continued pollution and indiscriminate hunting many plant and wildlife species are on the brink of extinction. Drainage of wetlands, alteration of overland water flow and hunting have all contributed to species decline. The Everglades, once known for its abundant bird life, has seen its wading bird population decline drastically since the turn of the century. 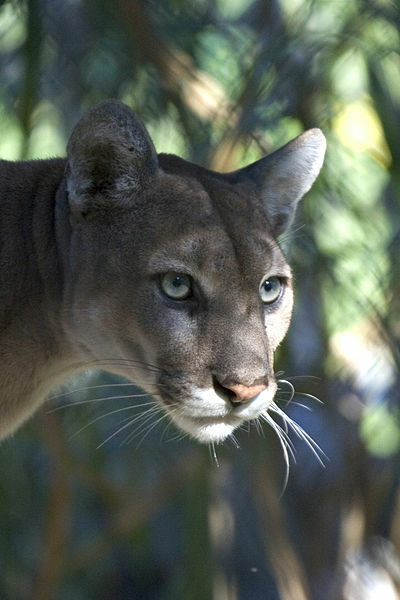 The Florida Panther once common throughout the state, today is on the verge of extinction. Within the four National Park areas of Everglades National Park, Biscayne National Park, Big Cypress National Preserve and Fort Jefferson National Monument there are 16 endangered and 6 threatened wildlife species. The mere physical boundaries of a National Park do not guarantee a species survival.